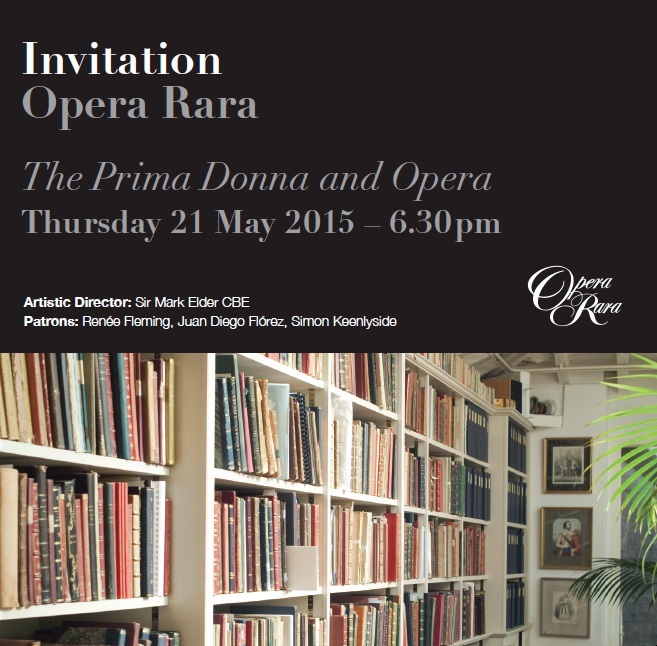 Join us for a talk and discussion on the fascinating subject of ‘The Prima Donna and Opera’ with Susan Rutherford, Senior Lecturer in Music at the University of Manchester and Opera Rara’s repertoire consultant, Professor Roger Parker on Thursday 21 May 2015, 6.30pm in the Opera Rara Music Library. To secure a place email us at: info@opera-rara.com or call Kim Panter on +44 (0)20 7613 2858 (tickets £15.00, which includes a glass of wine or soft drink). See the attached invitation for further details.